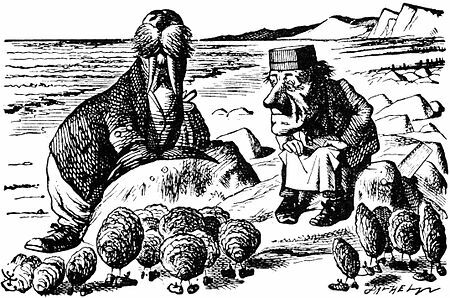 The Walrus and the Carpenter is a narrative poem from Through the Looking Glass. 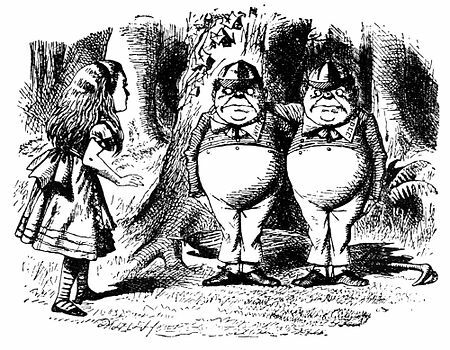 The poem is recited to Alice by Tweedledee and Tweedledum. 'No hurry!' said the Carpenter. 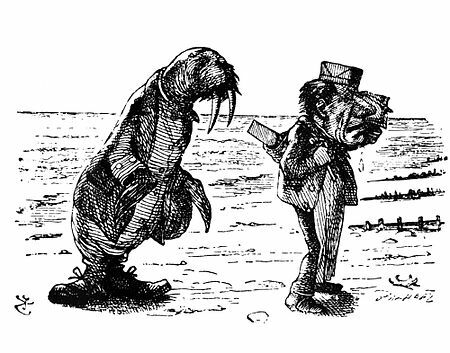 'The night is fine,' the Walrus said. 'Do you admire the view? 'It was so kind of you to come! 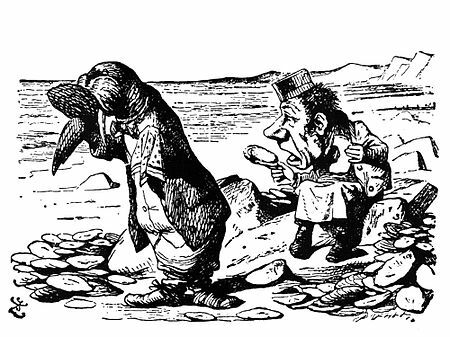 'I weep for you,' the Walrus said. 'You've had a pleasant run! This poem is featured in our selection of Children's Poems, Poetry for Students and 100 Great Poems. Add The Walrus and the Carpenter to your own personal library.